When managing elective waiting lists, it is generally agreed that clinical priority patients should be treated quickly and routine patients should broadly wait their turn. Unfortunately, this important principle often falls down when it comes to follow-up outpatients, and patients are coming to harm as a result. The highest profile examples of harm are in ophthalmology, where an estimated 22 patients per month are losing vision due to health service initiated delays in follow-up outpatients. And it isn’t just ophthalmology – other specialties are affected too, and in extreme cases patients patients can even die. We wouldn’t accept this kind of risk in new outpatients, where clinical priorities are generally respected. The two-week-wait cancer target, for instance, is usually met. So why does it persist in follow-ups? I think a number of things are going on. First, there is no target for follow-up outpatient waits. But this really is a non-excuse. There isn’t a target for urgent first appointments either (other than cancers), but we still try to ensure that patients with painful, high-risk or deteriorating conditions are seen quickly. If a patient is time-limited for clinical reasons, as follow-ups are, then they should take priority over routine new outpatients whose clinical need is not time-limited to the same extent. Second, there is widespread suspicion that too many patients are being followed-up (a concern sometimes expressed as commissioning limits for new : follow-up ratios). There is some truth in this suspicion, but it needs to be approached from the detailed, clinical end rather than with broad top-down numerical targets. 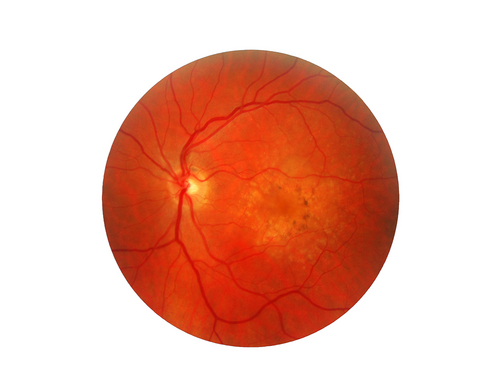 For instance, there would be scant logic in applying blunt new : follow-up ratios to any area that includes chronic disease populations such as wet age-related macular degeneration (wet AMD), who need to be followed-up indefinitely. But there are serious clinical conversations to be had in many other areas, in line with those already happening in cancer, and around the higher follow-up rates associated with junior doctors compared with consultants, where patient- or GP-led follow-up may be agreed as the better answer. Third, managers may find it difficult to see how new and follow-up slots are allocated in outpatients. It’s straightforward enough to see how an individual clinic uses its slots – you just look up the booking rules on the appointments system. But any given specialty may have dozens of different clinic codes, and it can be difficult to get an overview. This lack of visibility is a recipe for inertia, because if you can’t see what is already happening then it’s difficult to plan effective change. Historical outpatient activity is often the best available guide to the overall booking patterns, but that also reflects annual leave, short-notice redeployment of slots, and other things that vary from the booking rules in the system. Fourth, we aren’t used to thinking about follow-ups as having “waiting lists”, nor to keeping an eye on them. But it is wise to do so. Here, the “waiting list” means patients who have been promised a follow-up but not yet had it (irrespective of whether they have been given an appointment or not). And we should keep an eye on this “waiting list” for the same reason as in new outpatients: if it is getting bigger then we are developing a problem, and one day that problem will lead to delays. We can even do fag-packet calculations about the largest sustainable waiting list: it is simply the rate that patients are being added to the list, multiplied by their intended average waiting time. The lifting of financial penalties for 18 week waits means we have a rare opportunity to sort this out, and doing so means these four issues will need to be addressed. This might helpfully involve an agreement between managers and clinicians, in which managers commit to ensuring that follow-ups are seen within the time limits recommended by their clinicians, and clinicians agree to look seriously at whether all those patients really need following-up or whether they would be better managed in other ways. Then follow-up capacity can be planned properly in line with clinical need. Patients who genuinely need following-up would no longer be put at risk by delayed appointments. And if the service cannot keep up with demand, then it is new routine outpatients who wait longer and not clinical priorities. In other words, the same principles that already apply to other elective patients.